RussJones.Us: You Will Make It! By this time we are in the middle of Hurricane Irma. You are probably thinking, "When will this stop?" "I don't think I can take this anymore!" Irma is a behemoth that needs to go on a diet. But here is the good news! You're going to make it! Mark 4:39 And he awoke and rebuked the wind and said to the sea, “Peace! Be still!” And the wind ceased, and there was a great calm. The disciples are in a boat crossing the Sea of Galilee. Jesus is asleep in the back of the boat. Many people have wondered how anyone could be asleep in a storm? You understand though, don't you? If you're tired enough, you can sleep through anything. Even a hurricane. During Hurricane Andrew, my music pastor and wife were evacuated from their residence and stayed at our apartment. In the middle of the night, when the hurricane made landfall, everyone was asleep except me. I watched the whole thing unfold. The winds whipping palm trees around like they were rag dolls. I watched the front door of the house bow in and out with every gust of wind. The glass on the sliding back door rippled like water under the pressure. I was terrified. But then, suddenly, it all stopped. Life, like hurricanes, has this way of throwing tough challenges at you. You think, "There is no way I can do this!" But you find a way. 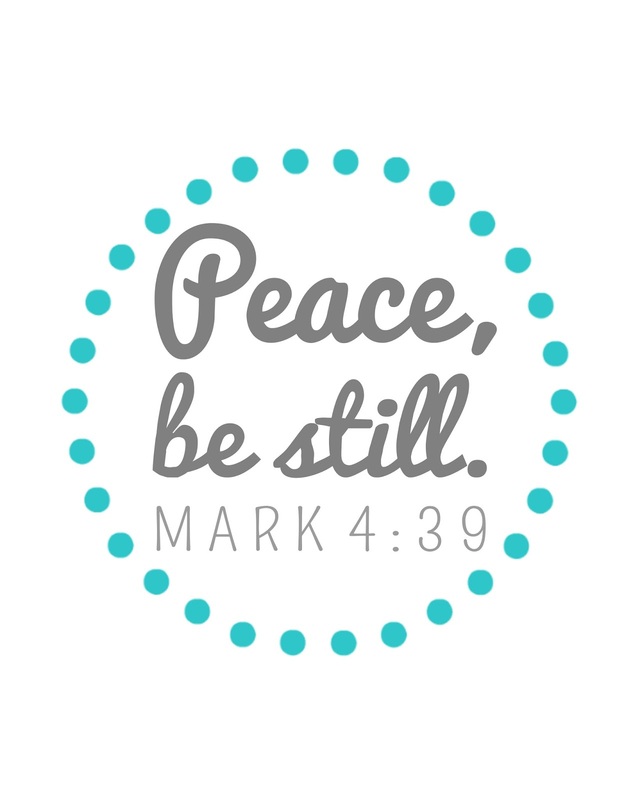 Don't be afraid to say, "Peace, Be Still!" to the storm that is going on inside of you right now. PS. I will continue to post as I can. But as power fails so does the internet and other services. Will be back as soon as I can. Thanks for your patience.